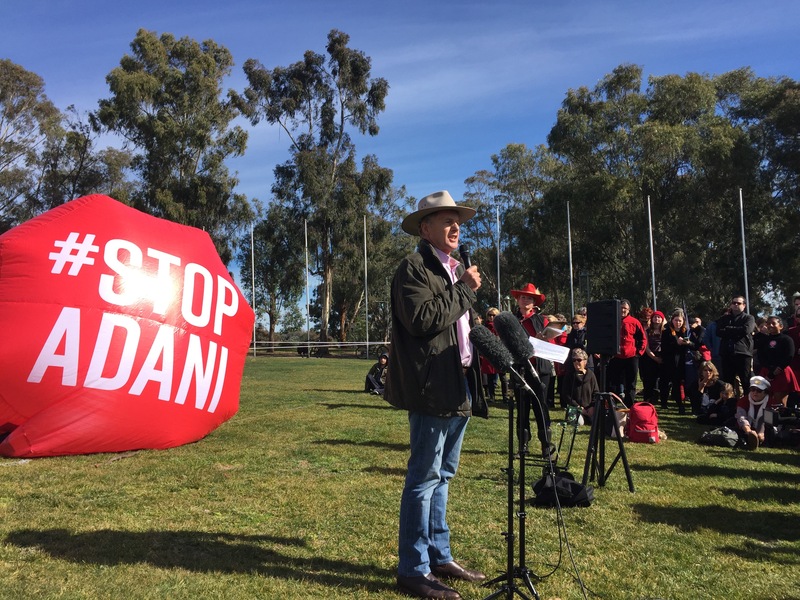 Sheep farmer, Charlie Prell speaks at the Stop Adani protest on the front lawns of Parliament House on Thursday. Fourth generation sheep farmer Charlie Prell doesn't much care for Adani or its proposed Carmichael coal megamine In Queensland. Which is a bit like saying sheep don't like dingoes. Prell's farm is in Crookwell on the NSW Southern Tablelands. That's a long way from north Queensland. But as a farmer, the issue is close to Charlie Prell's heart. And what his heart -- and head -- tell him is that Aussie taxpayer money should be spent on agriculture, not Indian-owned mines. 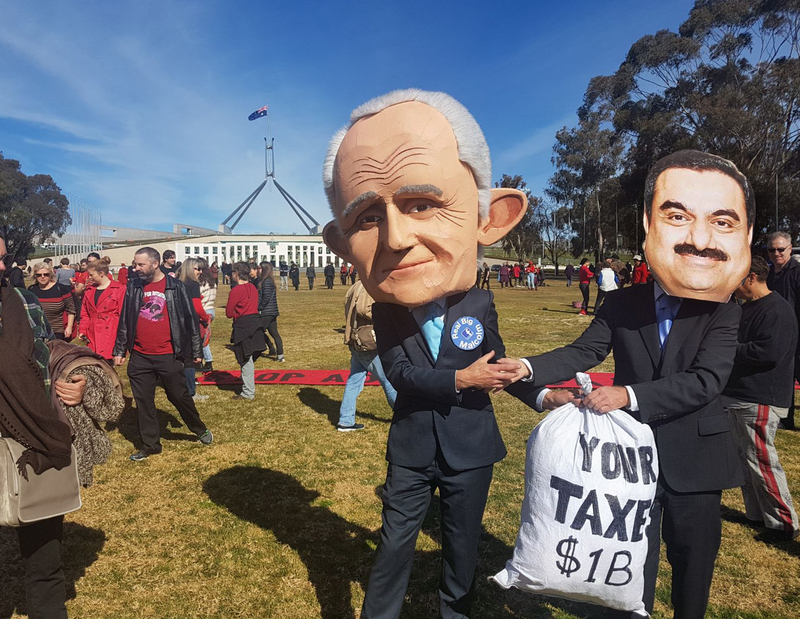 "Australian Farmers are deeply concerned about the prospect of taxpayer funds being used to support the Adani rail line through the Northern Australian Infrastructure Fund [NAIF]," Prell told a large anti-Adani rally outside Parliament House in Canberra on Thursday. "It's highly unlikely that this loan will ever be repaid." In conversation with HuffPost Australia, Prell continued his anti-Adani attack on economic and environmental grounds. He said he couldn't believe that government was not supporting regional communities by enabling renewable energy projects. "There's such intense support for rolling out renewables," he said. "Yet a few right wing politicians in the government in Canberra are saying we should be investing taxpayers' money with an Indian billionaire whose company is registered in the Cayman Islands." Prell pointed to a recent report on the proposed Carmichael Mine by respected economist John Quiggin from the University of Queensland. "The report clearly demonstrates that agriculture would be a much better place to invest the $900 million, than the Adani rail line," Prell said. "The average number of full time jobs created by the Adani rail line is estimated to be 336 jobs over the ten years. If the $900 million is used to remove productivity barriers in agriculture it would create 632 jobs over the ten years -- nearly twice the return on the investment. What exactly is Prell referring to when he speaks of "productivity barriers" in agriculture? "The farmers in western Queensland are really constrained by deplorable transport and water infrastructure," he explained. "To invest in that infrastructure makes long term sustainable sense." 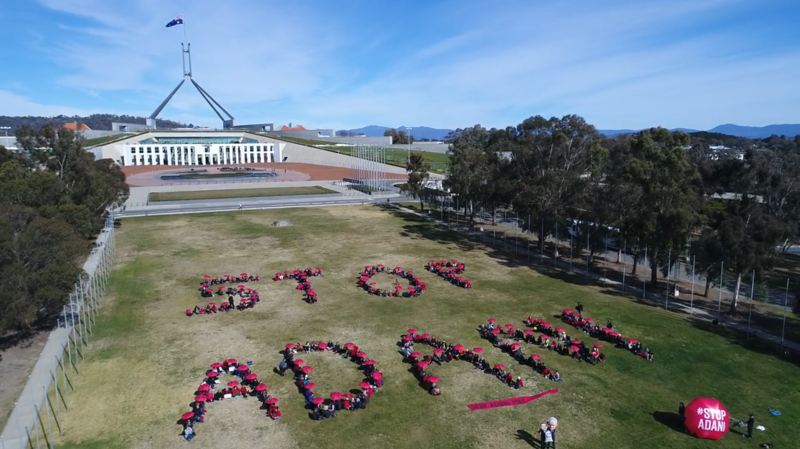 And according to farmers like Charlie Prell and hundreds of other protesters in Canberra on Thursday, a big fat mine in a previously untapped basin will pollute rivers, threaten agriculture and the reef, create no real wealth, and make no sense at all.